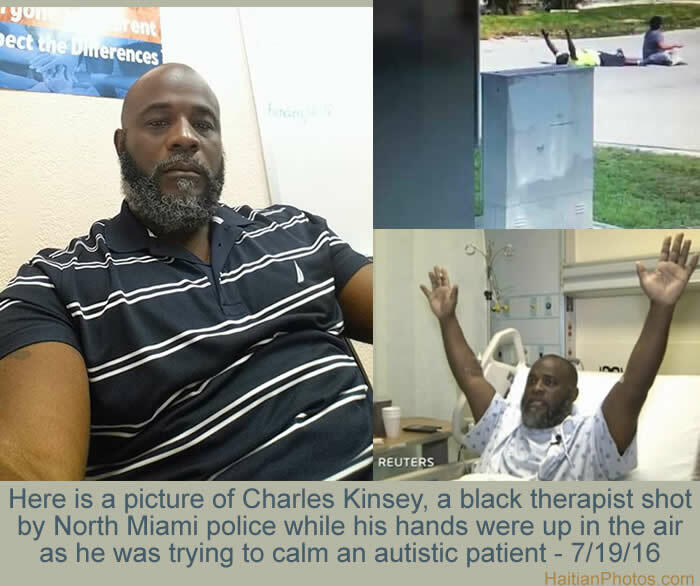 As you may remember in the previous article, North Miami police shot Charles Kinsey, a black therapist who was trying to calm an autistic patient while his hands were up in the air. A union official called it an accidental shooting. However people on the side of Charles Kinsey do not quite buy this story of accidental shooting. According to Kinsey's boss, that explanation doesn't add up. Mr. Clint Bower who runs the center for the developmentally disabled where Kinsey works stated this is "just outrageous". "They are now saying they intended to shoot my client, and instead they shot my employee"